Netgear has long been known for its networking and storage products, but the Arlo camera division is becoming a force to be reckoned with in its own right. 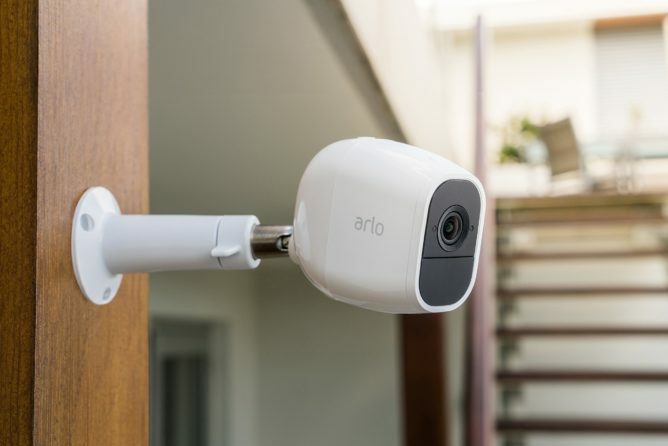 The company saw good results from the release of Arlo Pro last year, and it's following that up with a second generation. The Arlo Pro 2 is going on sale now, and it's a bit more expensive than the previous Arlo Pro. The added cost gets you a resolution bump to 1080p, support for extra wired capabilities, and more. 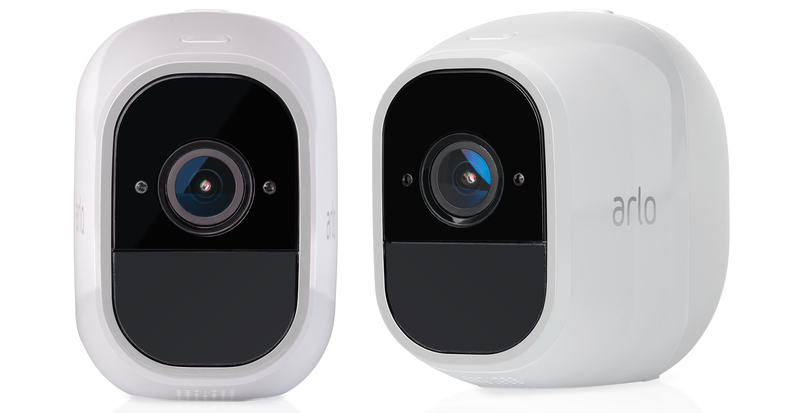 At a glance, the Arlo Pro 2 looks almost like the old camera, and even on closer inspection, they're virtually identical. Arlo Pro 2 is a completely wireless camera like the first-gen, but you get several new video capabilities. Most importantly, the new camera has 1080p video output (130-degree field of view) instead of 720p like the last one. The previous Arlo had a sensor capable of 1080p, but Netgear says it's made sure the new camera has the power to record and process 1080p video without overheating. Like last year's Arlo Pro, this camera can operate for months without a recharge. One of the main selling points of Arlo security cameras is that you don't need to plug them into power. However, Arlo Pro 2 is designed to operate in either wired or wireless mode. If you have the camera plugged in, it's able to do some extra things like record 24/7 video (with the applicable subscription plan). There's also the new "Look back" feature. The camera basically keeps recording a small buffer of video all the time while plugged in. If it detects motion, it can save that buffered video so you get a longer clip that might show more of what happened. Custom activity zones work with the wired Arlo Pro 2 as well. Arlo's beta smart alerts feature is still just in beta, though. Arlo has Alexa integration with its cameras, so you can pull up the video feed on an Echo Show or Fire TV device with a voice command. The company is working on Assistant integration in the form of voice commands to control your cameras, but video streaming via Assistant is not happening yet. The version shown off by Google and Nest at the recent event was only just made available to partners, so it'll take a while. Arlo Pro 2 can be purchased as an add-on camera for those currently using Arlo systems. The hub is unchanged from the last-gen product, so you can be up and running at 1080p in a few minutes. The camera by itself is $219.99, about $40 more than the Arlo Pro. A kit with the required wireless hub and two Arlo Pro 2 cameras will run you $479.99, and the larger 4-camera kit is $799.99. Remember, you can mix and match Arlo Pro cameras, so those 720p cams won't go to waste. Arlo cameras have 7 days of video storage, but you can subscribe to a $10 monthly plan for 30 days of storage on as many as 10 cameras. Arlo Pro 2 is available from Arlo, Best Buy, Amazon, and other retailers. To make your smart home security even more intuitive and effective, Arlo Pro 2 can be connected to smart home devices through platforms such as IFTTT and Samsung SmartThings®. Using the Arlo Skill for Amazon Alexa, you can view live feeds or recorded video from an Arlo camera, on the screen of the Amazon Echo Show™ or the Amazon Fire TV™. With a simple voice command, ask Alexa to ‘show the ‘front door,’‘the back yard’ or ‘the driveway’, and anywhere else the Arlo camera had been placed eliminating the need to navigate the app. Arlo Pro 2 Add-on Camera is now available for $219.99. The Arlo Pro 2 Security Camera System with two cameras and including base station is available now starting at an MSRP in the U.S. of $479.99. 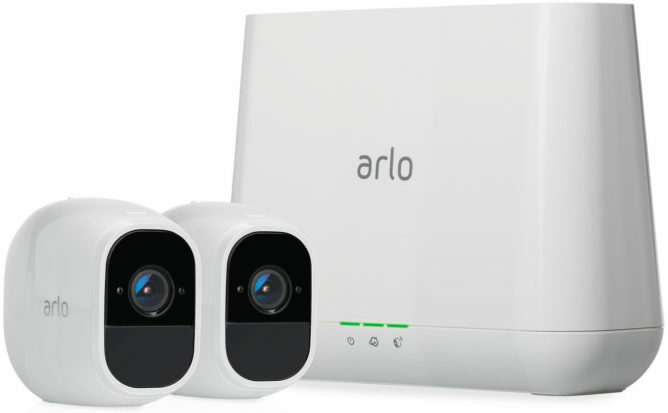 Arlo Pro 2, Arlo Pro and Arlo wire-free cameras are interchangeable. You can add the new Arlo Pro 2 cameras to an installed Arlo Pro or Arlo Wire-Free base station, or can opt to use any existing Arlo wire-free cameras with the new Arlo Pro Base Station.